Twitter says it will continue cooperating with congressional investigators. Months after meeting with Congress about alleged Russian influence in the 2016 presidential election, Twitter has announced its latest findings. In a statement published Friday, the company said it found and suspended more automated Russia-based accounts and accounts associated with the Internet Research Agency. That group has been linked to the Russian government. Working with congressional investigators, Twitter is also sharing the account handles found with Congress. So far, the company has identified more than 50,000 Russian-linked automated accounts, as well as nearly 4,000 IRA-linked accounts. 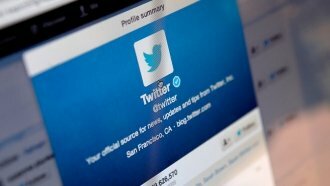 Going forward, Twitter says it will invest in more ways to limit "fake, coordinated and automated account activity." In preparation for the U.S. midterm elections, the website is protecting major candidates and parties against impersonation, communicating with election officials and improving anti-spam technology.